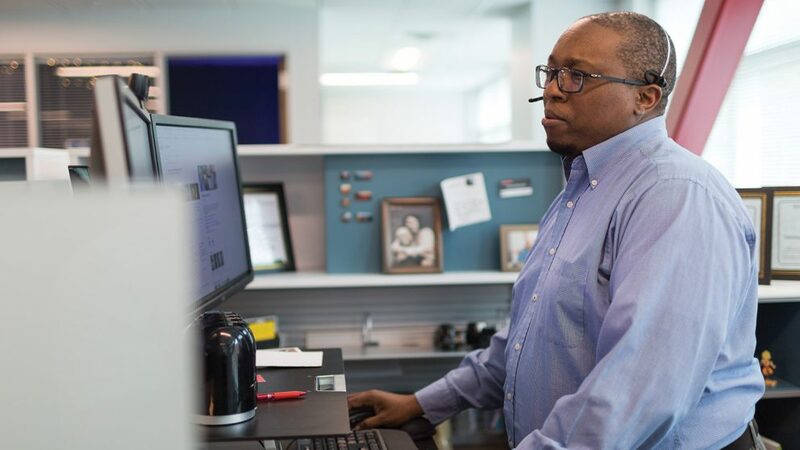 Lead Technology Support Technician Emanuel Brunson answers a Help Desk call. 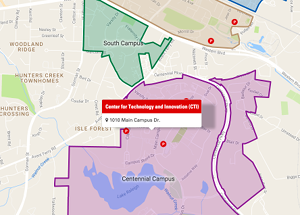 Distance Education and Learning Technology Applications, better known as DELTA, fosters the integration and support of learning technologies in NC State’s academic programs, both on campus and at a distance. Whether you’re a new online instructor or have been teaching on campus for a while, DELTA is here to help you make the most out of our enterprise-level learning technologies. We offer more than 90 teaching and learning with technology workshops each year. We transform education through media-rich environments like VR, animation, gamification and more. We have staff devoted to answering help calls for enterprise-level tools with evening and weekend hours that can be reached at 919.513.7094. We offer custom workshops for groups of eight or more. We provide one-on-one instructional consultations for online and hybrid teaching best practices. We provide DELTA Grants to create, enhance and update online courses, assist with course redesign and sponsor faculty research. We offer assistance with developing Online and Distance Education programs. We provide administrative, marketing and outreach support for Online and Distance Education programs and courses. We have Test Centers on both campuses and proctor more than 70k exams locally and remotely each year for Online and Distance Education and on-campus classes. We facilitate the Instructional Design Interest Group (IDIG) to bring together faculty and staff interested in learning technologies and the different aspects of instructional design.